The principle behind body-powered upper limb prostheses hasn’t changed in decades. 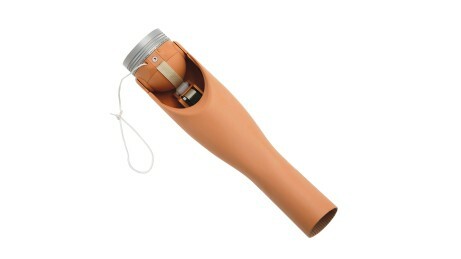 It’s based on easy handling, high stability and more independence. You’ll find it easy to learn how to use the upper limb prosthesis as is it controlled mechanically – by moving the shoulder girdle. 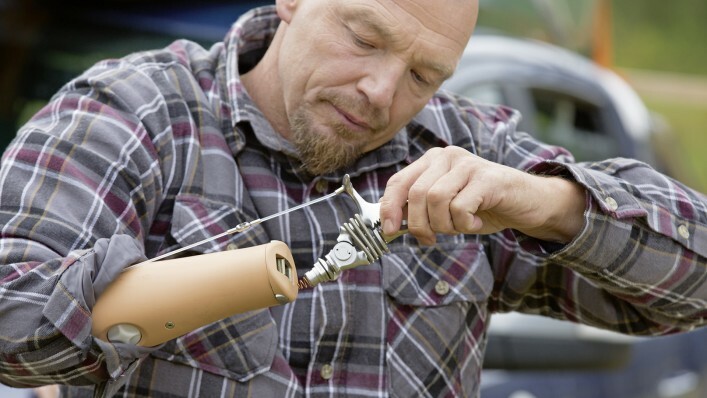 Because they are robust, body-powered upper limb prostheses are especially suitable for manual tasks and activities under difficult conditions, for example in dusty or damp areas. 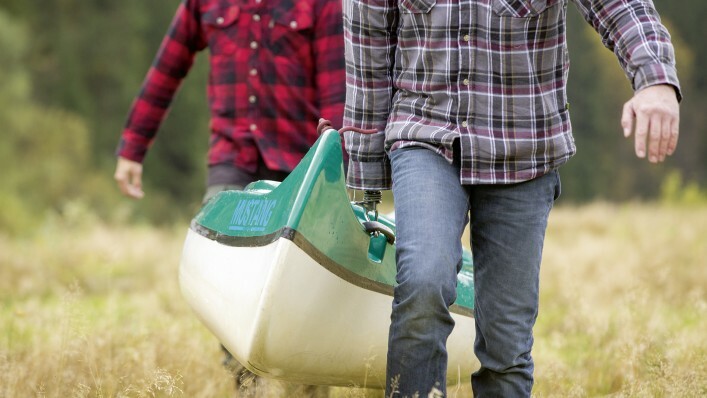 And you can be more independent as you pursue recreational activities in the great outdoors. 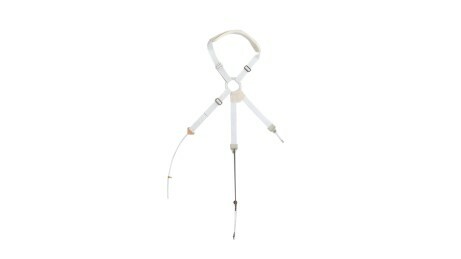 With body harnesses, the functions of the hand or hook and the elbow are controlled using torso and shoulder movement. They provide precise control, feedback, good wearer comfort and can be easily adjusted by an orthotics and prosthetics professional (O&P professional). 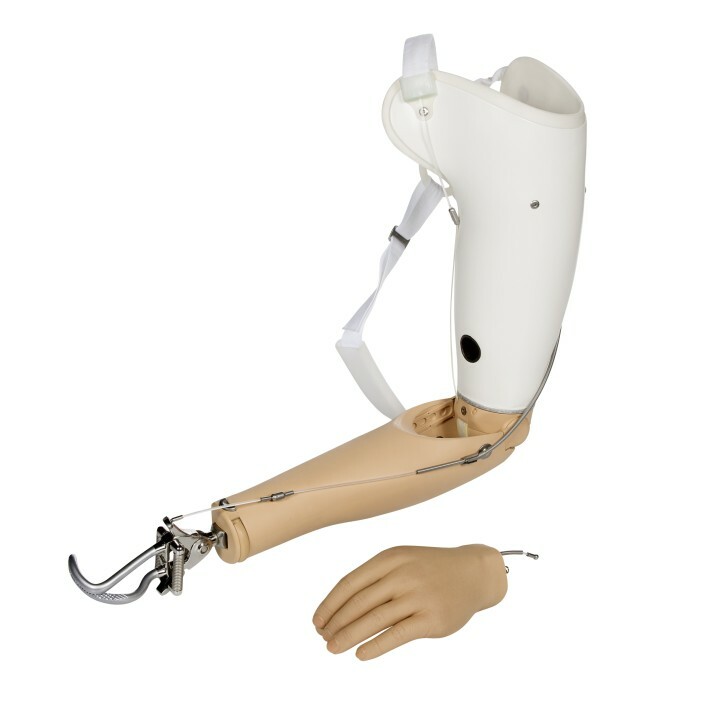 The upper limb prosthesis can be adapted to many different requirements. 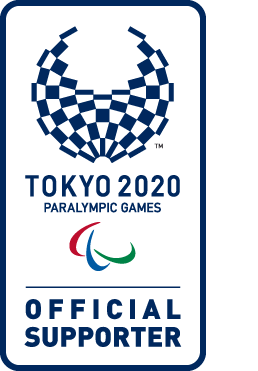 The design of the body-powered wrists and the additional adapters allow terminal devices to be changed quickly and easily – for example from hand to hook. Body-powered voluntary opening and closing hands combine functional grasping with a natural appearance that is enhanced by the corresponding prosthetic gloves. 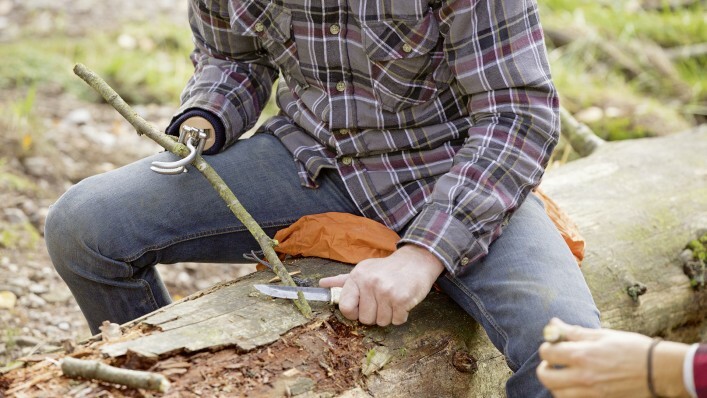 Body-powered wrist joints such as the MovoWrist Flex enable many different functions. They allow the hand to be flexed and extended when grasping and engaged in five increments. You can also rotate the hand over 360° and engage it in 20 different positions. The ErgoArm line has set standards in the industry for years. 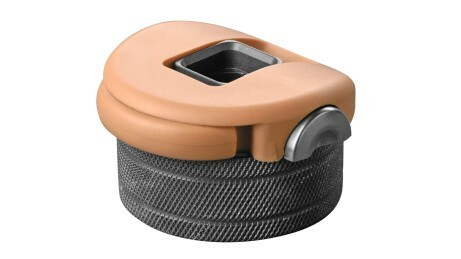 You can lock and unlock the elbow joint in any desired position. 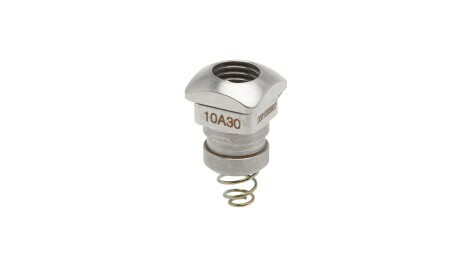 The slip-stop function permits controlled lowering of the forearm without unlocking. The Automatic Forearm Balance flexion aid allows the arm to swing smoothly when walking. It uses the energy released during extension for the subsequent flexion. It also supports bilateral tasks with easier lifting and locking. 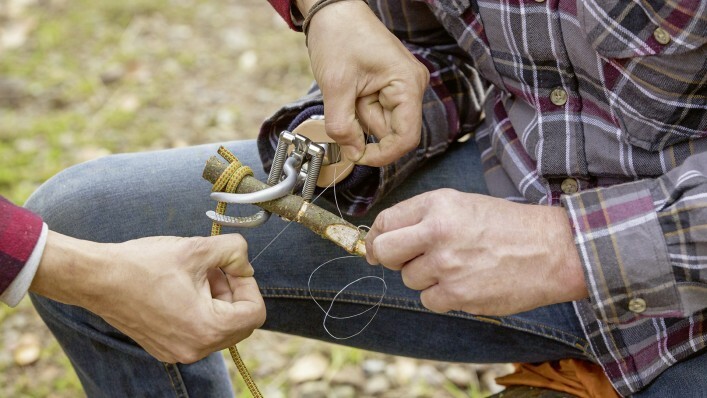 Body-powered hooks are used in particular to grasp many different objects more securely. They also support users with activities in challenging environments, for example those involving dirt, dust or moisture. The body-powered upper limb prosthesis can be easily controlled using movements of the shoulder girdle and the torso. 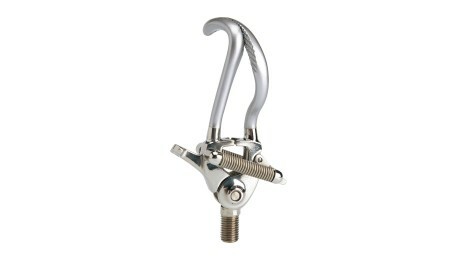 The different terminal devices such as hands or hooks can be easily changed – for many different requirements. Body-powered upper limb prostheses are generally lighter than conventional myoelectric fitting solutions. This can have a positive effect on wearer comfort when they are worn for longer periods or for physically challenging activities. The body-powered upper limb prosthesis allows you to grasp especially precisely thanks to immediate feedback on the grasped object. This feedback comes from controlling the prosthesis via your own muscle strength and movement. 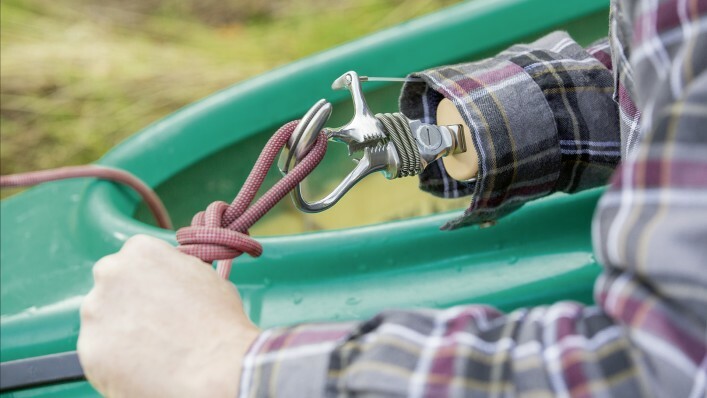 With the body-powered hooks, you can grasp many different objects more securely. They are especially suitable for manual tasks under demanding conditions, such as dust, moisture and heat or in the water. Body-powered prostheses are not dependent on external power sources (batteries). 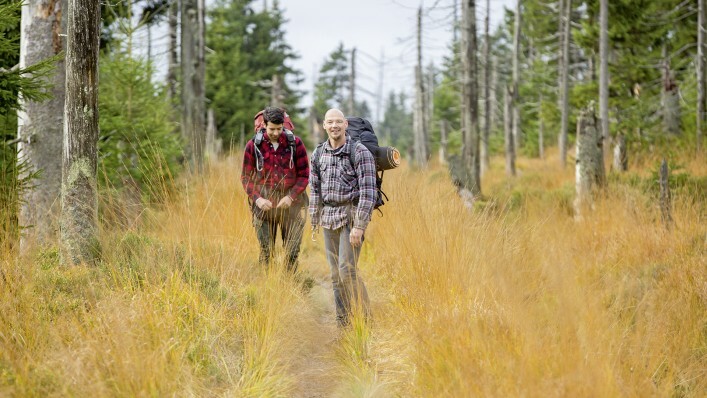 This means they can be used at any time and provide support for unplugged adventures, for example when travelling or out in nature. The Automatic Forearm Balance flexion aid allows the arm to swing smoothly when walking. The MovoWrist Flex wrist joint allows flexion and extension of the hand when grasping and can be engaged in five increments. 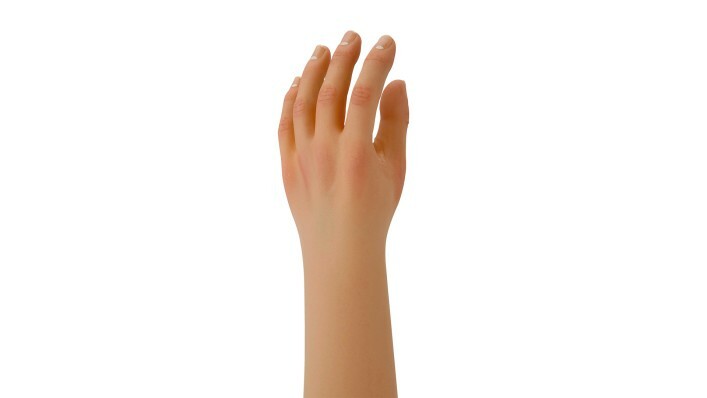 You can also rotate the hand over 360° and engage it in 20 different positions. Body-powered upper limb prostheses are powered by your own body using a mechanical principle. The key component of this type of device is a body harness. You use targeted movements of the shoulder girdle and torso to control individual elements of the harness. 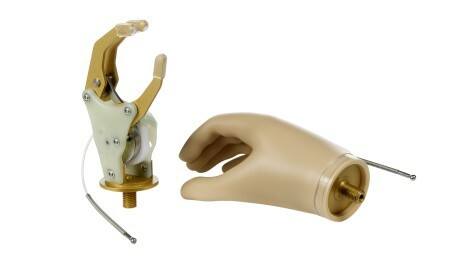 Pull-release cables then activate the corresponding components of the prosthesis, for example to open the hand. For daily care, we recommend cleaning the glove with water and soap. A special outer coating on the glove reduces susceptibility to soiling and simplifies cleaning. If soap and water are insufficient, we recommend our 640F12 special cleaner with 640F13 spray pump. Please also note the specific care instructions of the special cleaner. 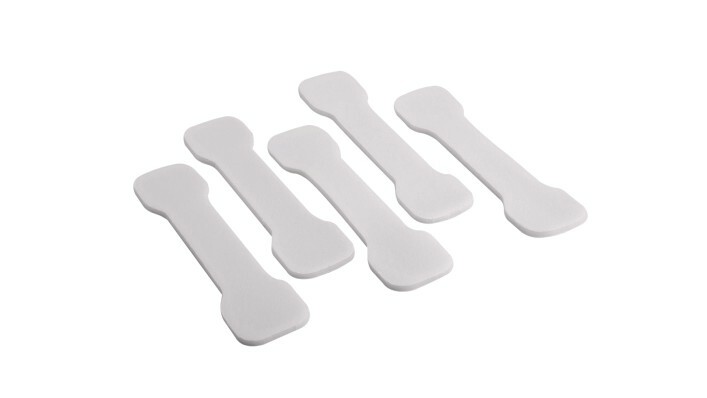 The body harnesses are supplied with removable foam underarm pads for extra hygiene. They can also be optionally replaced by silicone underarm protection that is easy to clean and enhances wearer comfort. This brochure contains structured instructions with specific exercises for preparing for a body-powered prosthesis and for learning how to safely control the upper limb prosthesis. How do I control a body-powered upper limb prosthesis? Body-powered upper limb prostheses are powered by your own body using a mechanical principle. The key component of this type of prosthesis is a body harness. 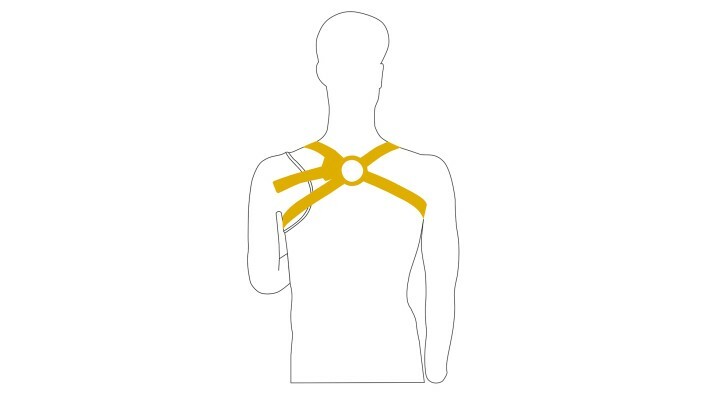 Users apply targeted movements of the muscles of the shoulder girdle and torso to control individual elements of the harness. 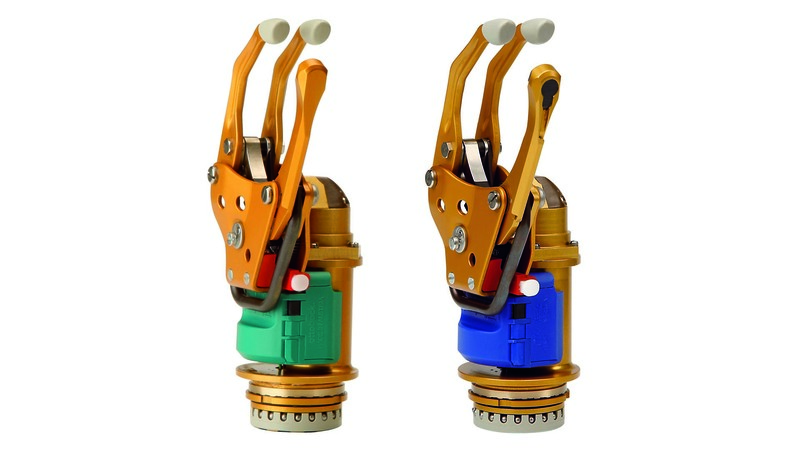 Pull-release cables then activate the corresponding components of the prosthesis, for example to open the hand. How do I learn how to control the prosthesis with muscle movements? The muscle movements should be trained before receiving the device so the user's physical condition can support the operation of the prosthesis. Learning how to control the prosthesis is actually very easy, but as for all prostheses, requires some practice for use in daily life. You should ideally received targeted occupational therapy before and during the fitting process. We provide a therapy brochure to support O&P professionals, therapists and users during the learning process. Ask your O&P professional or therapist. What are the benefits of body-powered prostheses? In principle, controlling a body-powered prosthesis is very easy, as it is directly related to body movements. This also results in direct sensory feedback to the user regarding the grasped object and the position of the prosthesis. The low weight of body-powered prostheses ensures greater wearer comfort, especially during longer periods of physical activity. The stability and robustness of the prosthesis expand the range of uses to include activities in demanding environmental conditions such as dust, moisture and heat. 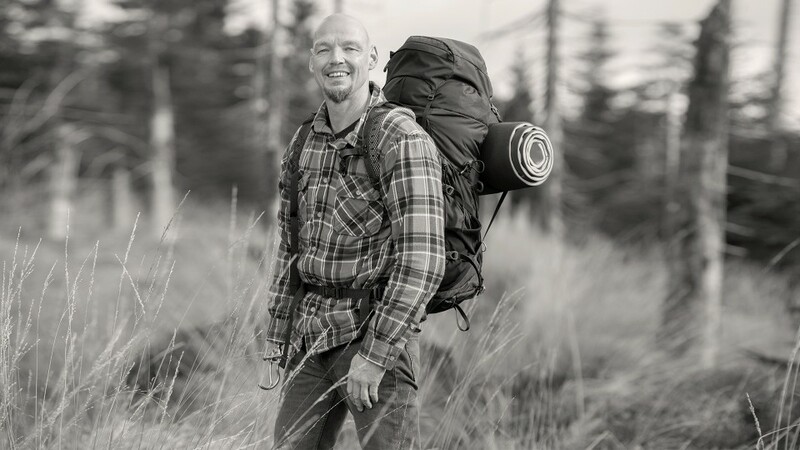 Another benefit is independence from external energy sources (batteries), which can be advantageous when used outdoors for longer periods or when travelling, for example.